Power is needed for both igniting the car and driving it, so it is important to keep your battery charged properly. The car battery determines whether the car will start. If it becomes flat, even if you use the car regularly, you can have the battery checked at a quality garage near you. 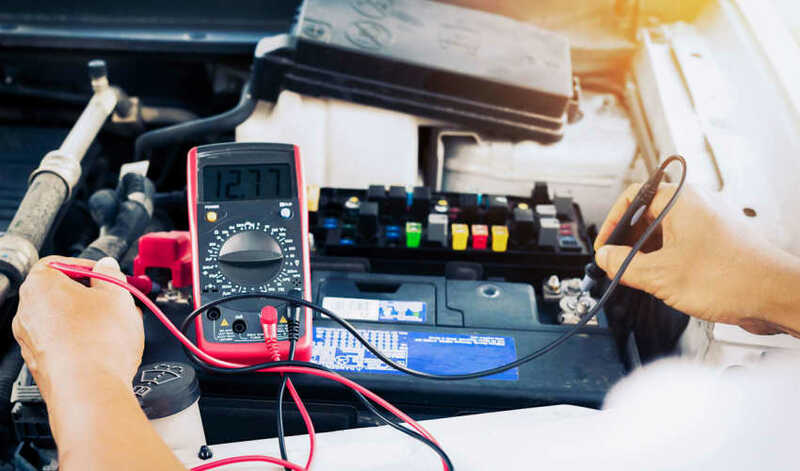 If the car cannot start, or your battery goes flat, it may be that the battery is old and worn, or it can be the generator that does not produce power to the battery. There are also other sources of errors that a mechanic can easily spot. If the battery is not charging properly, the issue can be a number of things. Try to get it fully charged first, and if that does not help in the long run, have the battery or the generator tested, you may have to buy a new battery. To start the engine, the battery must have power. It also requires power to keep the engine running, so therefore the generator constantly produces power for the car and recharges the battery. If the generator fails the battery will not charge. The generator is driven by a belt which may be defective and reduce the charging performance. You can also risk that the cables from the generator to the battery is defective, so there are several potential issues to have checked before you buy a new battery or generator. You can buy chargers in various car and utility markets pretty cheap. They all charge the battery fairly quickly, but you should make sure that they automatically stop charging once the battery is fully charged. Often, you need power immediately, and then starter cables or a jump starter is necessary. If you have starter cables and can get a jump start from another car, check the car manual. There may be differences in the procedure based on your vehicle. If you have a stop start engine we advise you get a professional to do this. Though jump starting a stop start engine is possible, it is much more dangerous and without experience, not recommended. With this method, the frame connection is kept as long as possible. Some recommend using the red clamps first, from positive to positive, so be sure to check the manual for your car first. Be aware that the cable clamps do not touch anything but the poles, while you connect or disconnects them. When the car is started, let the engine run for quite a while, to make sure it is charged enough to start the car again. If you have a jump starter, you can start the car without the help of others. It must of course be charged in advance. Then you just attach the cables to the battery and start the car. If you subscribe to roadside assistance, you can call them to come and get your car started. It can get you on your way, but afterwards make sure that the problem does not recur. Some contracts for roadside assistance will not continue to provide initial help, at no extra charge.